Knowing how to connect a residential property can be tricky. NIS is here to help prepare your property. A Lead-In is the physical connection between your home and your telephone, data or pay TV network. It is through this connection that home phone and internet services are supplied to your property. Lead-Ins also mark the end to your service provider’s obligations in terms of ensuring your internet or phone connection. How do I know if I’m responsible for organising a Lead In for my home or development? Your service provider is responsible for supplying the majority of the network. However, you’re responsible for supplying the trench on your private property through which cabling will be installed. A Lead-In is usually installed underground, unless aerial cable is already being used in the street. If your property has had a previous home phone or cable internet connection (and no renovations or re-development has occurred), it’s likely that your home already has a Lead-In. 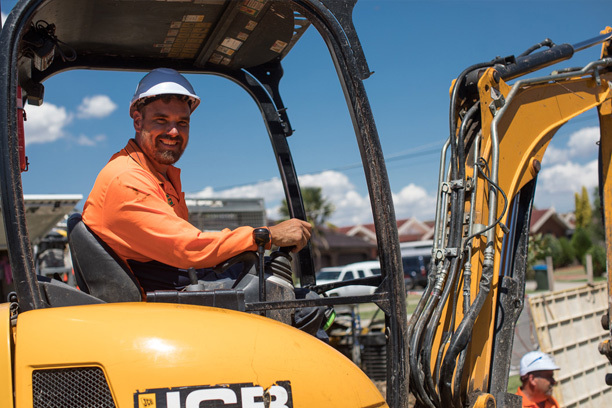 The experienced NIS team can help you identify where the service provider’s obligations start and finish and what will be needed to connect your property to phone, internet or TV services or networks. Contact us on 03 9095 7473 or request a quote. NIS are experts at provisioning homes, townhouses and multi-unit sites. From design through to liaising with service providers, construction of third party pit and pipe works and making sure you have the compliance you need for your Planning Permit. 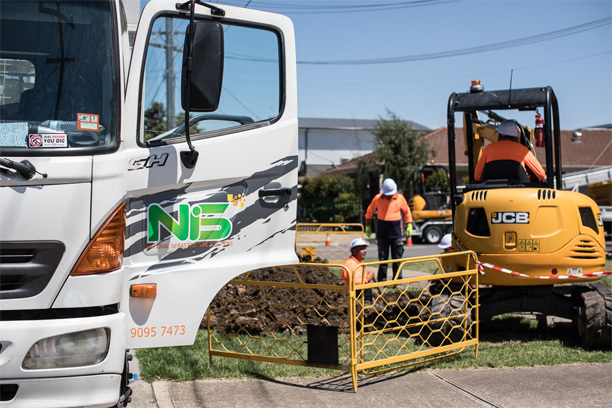 As a builder or developer, you can rely on us to design pit and pipe works that meet NBN guidelines and G645 Standards and to be on site as promised every time. The team at NIS are here to work for you, taking the headache out of getting your development connected.